The Los Angeles Lakers have signed free agent guard Thomas Kelati (6'5''-G/F-82, college: Washington St.). The deal was announced yesterday. 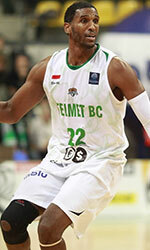 The 27-year old Thomas Kelati is coming to NBA from Spanish team Unicaja Malaga. Actually, during the summer he supposed to join Greek team Olympiacos Pireus, but at the end that transfer failed. Kelati appeared 16 times in Euroleague last season averaging 11.8 ppg, 1.9 rpg and 1.3 apg. 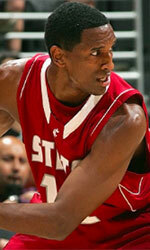 In Spanish ACB league he had 10.3 ppg, 1.7 rpg and 1.5 spg for 37 games. Unicaja Malaga reached ACB Semifinals. From 2006 to 2008 Thomas Kelati was a player of Polish team BOT Turow Zgorzelec. With them, Kelati reached ULEB Cup Quarterfinals in 2008 and played twice in domestic championship Playoff Finals. Second season with the team Kelati ended with 14.8 ppg and 3.2 rpg for 15 ULEB Cup games. In Polish league he had 15.2 ppg and 3 rpg. In 2007, he was named 'Eurobasket.com All-Polish League Player of the Year -07'. Before Unicaja and Turow, Thomas Kelati played one year for Belgian team Dexia Mons-Hainaut averaging 4.1 ppg and 1.5 rpg for 33 games. That was his first season in Europe, after he graduated at Washington State University. In senior year with Washington, Kelati had 14.3 ppg and 4.3 rpg.